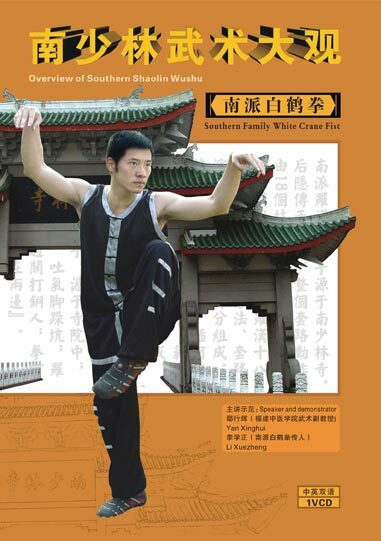 Southern Family white crane Fist is called Crane Fist in short, created by Mrs.Fang qiniang from Yongchun <?xml:namespace prefix = st1 ns = "urn:schemas-microsoft-com:office:smarttags" />Fujian, which has 300 years history. Wide expanded across South China, East-South Asia and Macau, Hongkong, Taiwan and Japan. Practice methods, exercises and skills appreciation consist of the fist. The way to learn and do practice are mainly on Gold ,Wood, Water, Fire and Earth, cooperated with mandarin duck circle as well. The fist’s fighting skill is unique, and the player is crane like with the behavior of crane while fighting. The script says, ‘Once, there was a madam named Fang qiniang, master of Shaolin fist. She was watching the crane unique motion and had the idea that mixed the crane’ behavior with shaolin fist and made it successful not only in domestic but overseas, now the fist has 300 years history.